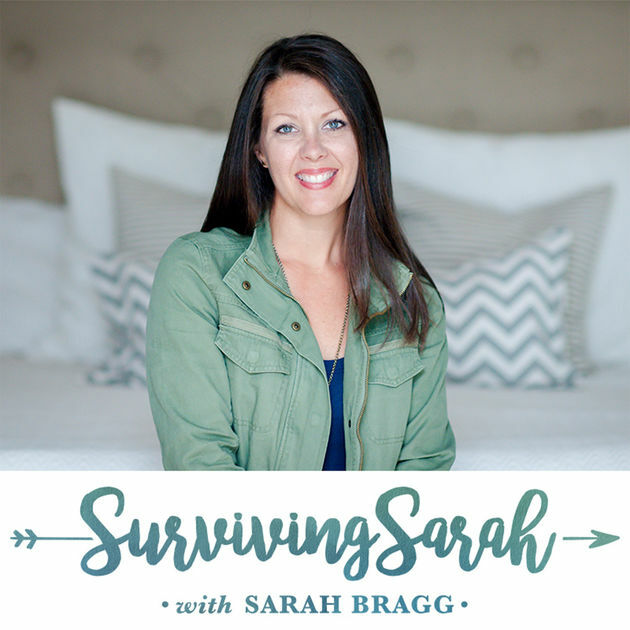 I’m Sarah Bragg, host of the Surviving Sarah podcast where I get to be a cheerleader for how people are contributing to the world and be a megaphone for their story. Growing up, I always loved the stage. There was just something about communicating that loved. I knew from an early age that I wanted to encourage, inspire and entertain people. In fact, my goal was to one day co-host the morning talk show with Regis Philbin. Unfortunately, Kelly Ripa beat me to the job! I, in a way, get to fulfill that dream job (minus Regis) every week through my podcast, Surviving Sarah. Each week, a different guest joins me on the show to talk about how they are surviving life. I think thriving sounds wonderful, but the reality is that most of us are just surviving—but that doesn’t have to be a bad thing. We can celebrate the small victories. I know that sometimes life can feel very lonely, and I want this podcast to be a place where someone will see that no matter what they are facing they are not alone. The show has grown exponentially since it debuted. It quickly earned a spot on iTunes New & Noteworthy section and has appeared on the top charts on Kids & Family at different points along the way. It’s easy to not realize how many people listen to the show, but if we were to gather in person each week, we could fill up a large venue. In my twenties, I found great success in the Christian world through job opportunities, publishing my first book and traveling around the world to speak to hundreds of people. And then when I turned 30, I had kids. My career came to a screeching halt. In fact, I felt like I had peaked at 30. By 37, I missed using my voice. I missed communicating. I missed influencing and encouraging others .At this point, I found myself at a pivotal moment. I was at a writer’s conference, sitting in a workshop about podcasting, when the idea came to me. I walked into that workshop with no intention on starting a podcast, but left with a clear direction. I knew the next step. I was to create a space where I got to use my voice to push others forward. That was in October of 2015 and I launched the show about 2 months later. I was well connected as an influencer so I knew I could easily fill up a year’s content calendar with amazing guests. My husband is a video producer so I had easy access to someone with technical knowledge to help me with equipment and editing. My years spent as a writer and content editor served me well in how to format a show and curate conversations that would be meaningful. I spent about 6-8 weeks preparing to launch the podcast. After I had the idea for the show, I spent some time thinking through details: purpose of the show, target audience, format, length, and guests. I also asked a couple of people with podcast experience if they would mind answering some questions. I paid one podcast expert, Kevin Jennings, to essentially be a consultant to help me get the show launched (everything from the list above and technical help). 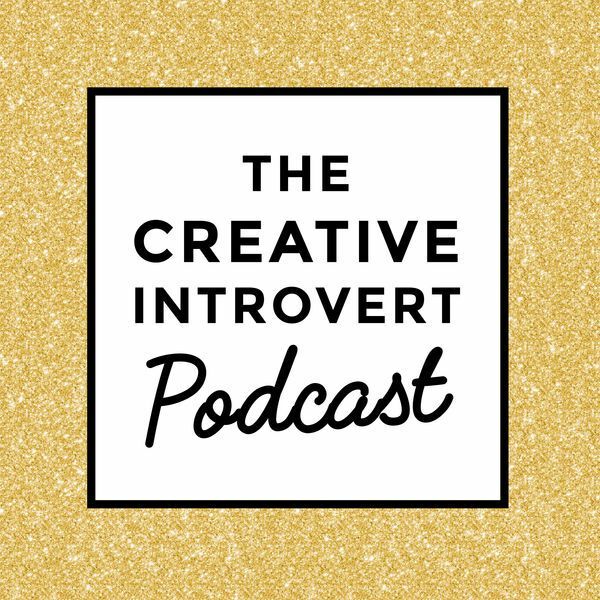 Initially, my husband designed my podcast logo, but after about a year into the show I paid a designer, Katie McGuffey, to do a rebrand for me. When it comes to recording, I knew I wanted to the capability to record in person. We bought the Focusrite Scarlett Solo to record directly onto my computer. I knew that I wanted my podcast to have great audio quality from the beginning and that meant purchasing nice microphones. I currently use BCD-1 Broadcast Dynamic Microphone but there are some great cheaper options out there, too. I use an app called Audio Hijack for recording, which allows me to create templates to record via Skype, FaceTime or in person. The only other monthly expense is the hosting site. I use Libsyn and you can host there for as little as $15 a month. I can be a very driven person especially when I am excited about a project. Even though I was a full-time mom of younger kids and part-time contractual editor/writer, I worked the podcast into my schedule. I spend around 10+ hours a week on the show. I made a decision early on that I wanted the show to be a job—even if I wasn’t getting paid. I didn’t want it to be just a hobby. Making that decision beforehand was helpful because that will determine how you view the show. Podcasting then (and still is) a new field to navigate. It is growing exponentially. But to get your show in the ears of new listeners is not easy. 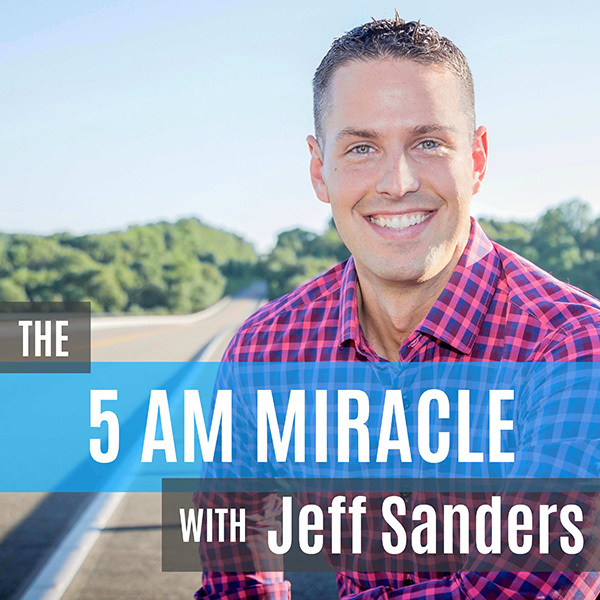 When I launched, I worked hard to get listeners to share the show with their friends. And in each episode, my call to action was for them to leave a 5 star rating and review on iTunes. Reviews are like gold in the podcast world. The more reviews you have the more iTunes will put your show in front of people. And if you acquire enough reviews in a certain time frame (first few months), you can get on iTunes New & Noteworthy section. I definitely saw a hike in my numbers when that happened for me. I focused on creating consistent, helpful and excellent content each week. I wanted to build trust with my audience so that they felt confident to share the show. The nice thing about having an interview based model show is that I can lean on the guest to share the show with their audience. Most of their followers would listen and then go back for more. I wish I had created a product earlier on in my show’s life—something that listeners could download for free if they would sign up for my newsletter. Everyone loves free stuff especially if it’s helpful. That is something I am just now working on as I approach year 3. My biggest financial stream for the podcast is currently through advertisers. I held out for a long time before walking down this road. I truly wanted to build a trust with my audience. The podcast and myself are branded together under the umbrella of Surviving Sarah, LLC. I add to the revenue stream by speaking at different conferences or events and through contractual writing and content editing. When you are starting your show, take time to build trust with your audience. If you have already established an audience whether that is through an existing blog or social media account, then that trust comes almost instantly. But if you start without an existing following, then take the time to build consistent, helpful and trustworthy content. If you do that, your numbers will grow and so will revenue. If I were to start over, I would be better about being strategic with my content. The first year was getting every influential person I knew or was someone connected to me to be on the show. The show grew fast and I have people reaching out to be on the show everyday. I wish I had taken the needed time early on to create a system to evaluate where I wanted the show to go content-wise. I would have started advertising much sooner. When I launched, podcasts were in the preschool phase. They had been around, but were still relatively new. I waited nearly 2 years before including ads into my show and I should have started much earlier. And always do your homework. Take the time needed to research the topic and the guest before you agree to have them on your show. I agreed to have someone on the show because someone I trusted connected me, but then through researching discovered that we had some fundamental differences that could have raised red flags for my audience. So I had to “uninvite” the guest. I have only had to do this once, but I felt terrible for it. 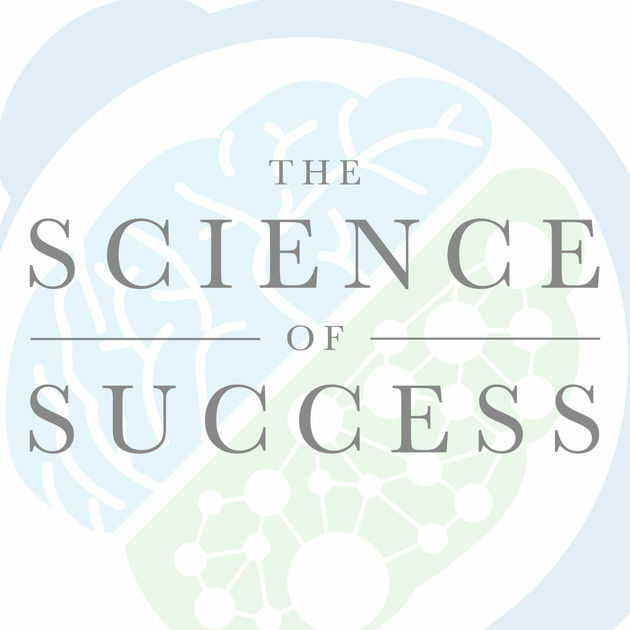 The most helpful product that I have used is a podcast guide by my friend Jacey Verdichio. I didn’t have this when I started Surviving Sarah, but when I launched my second show, Are My Kids On Track, I used it. It had been years since I had done all the technical aspects of starting a show and this guide was super helpful. Reach out to everyone you know to help promote the show. Most people are willing to share the show in some way. And honestly, the biggest way to support the show launch is by leaving a 5 star rating and review on iTunes. That is how you show will get noticed. The more reviews you have, the more iTunes puts it in front of listeners. My years spent as a content editor and communicator have served me well. That is where I learned how to truly cultivate a meaningful conversation. And at the end of the day, that’s why people tune in to my show. They want to feel like they are sitting at my kitchen table with me. I’m learning to not compare my show or numbers to other shows. I am friends with a lot of other podcast hosts and it’s easy to fall into the trap of comparison. But I have to remind myself of my “why” for the show, what I want to deliver to my audience and my unique gifting. Don’t spend a lot of time looking at your numbers. Focus more on the product and content that you are producing. Celebrate the wins—I love reading reviews on iTunes. It reminds of me why I do this. And as a side note, be aware that numbers will drop in the summer and in December. It’s not just you—it’s everyone. You can find me at my website, on Instagram and on Twitter. I would love for you to subscribe to my show, Surviving Sarah.